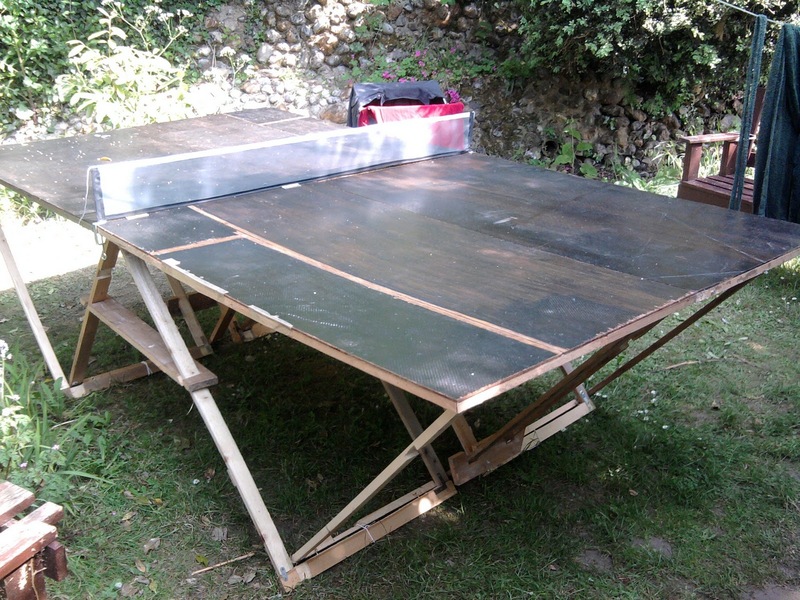 Folding ping pong table. Folds up in quarters and locks together like a big suitcase. Made from old bits of plywood and scrap from the shed, glue, nails, screws and string.